We want to give you an inside look at the people behind the designs of Amy Adele. Of course our original artist and namesake, Amy, was our first choice. 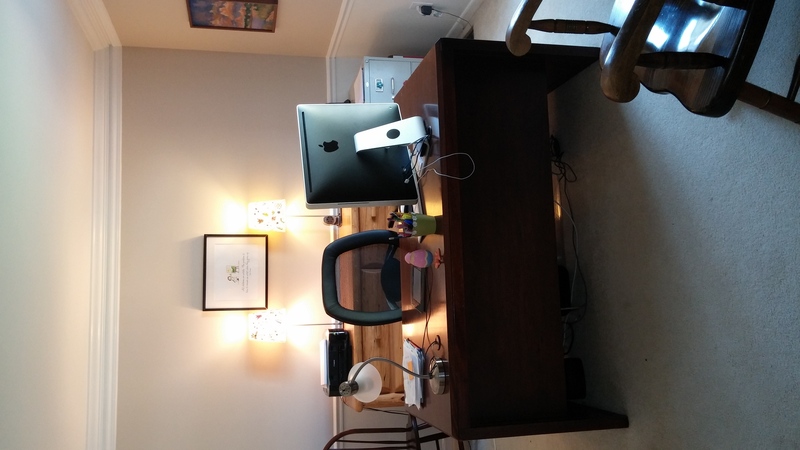 I, Caroline Kennedy, normally am the happy voice at the other end of your customer emails and the poster of all things social media, but for this blog I strapped on my reporter shoes and took a trip to see Amy in person where she works… at home! I joined Amy at her home to talk about her journey as an artist. It’s a welcoming brick house tucked back in an adorable subdivision. The driveways are lined with blooming flowers and manicured shrubs. Amy welcomes me with an open door and a big smile :). Corban, her 5 year old son, is lunching quietly at the kitchen table. The whole house has a cozy, comforting effect. The kitchen sports handmade cabinetry, courtesy of Amy’s husband, Joe. He would never brag about it, but it truly looks amazing. We join Corban at the table with our lunches, and he tells me about his new bike and tries his best to say my name correctly. Ca-ro-line is a lot of new syllables for him, but he does better than most, which makes me smile. As we eat Amy begins to tell me a little about her journey. Amy was born in Northern Virginia, just a few states away. She has one older sister and grew up in a little cape cod styled home just inside the Beltway. One of her most ordered designs is a drawing of her childhood home. She was raised in a Christian home, and has carried that faith in Jesus Christ with her into adulthood. 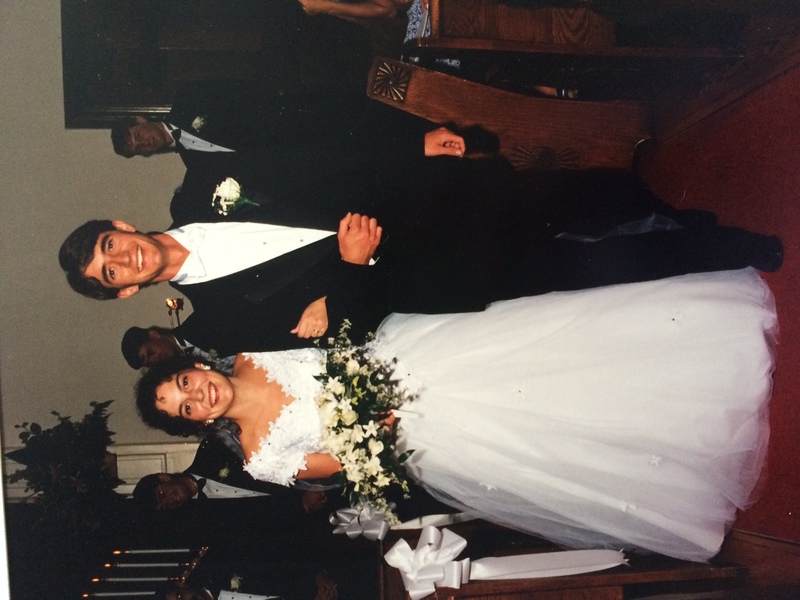 Amy married young, she and her husband (affectionately “Joey” to her) wed in 1994. They both attended a small liberal arts Christian college, Toccoa Falls College, in the North Georgia mountains. Four years after they married Amy and Joe welcomed their first daughter Emily to the world. Then six years later, they welcomed their second daughter Grace. Thinking they were done building their family, they settled in quickly to being parents of two sweet little girls. Newborn Grace wasn’t the only thing in the works that year. A short while after Grace was born Amy and Joe celebrated the launch of Amy Adele. Contrary to what Amy and Joe believed, their family was not quite done growing! Their son, Corban, was born in 2009, and has been a tremendous blessing to them in spite of his surprise arrival. You can read about him on anther blog post by clicking here. 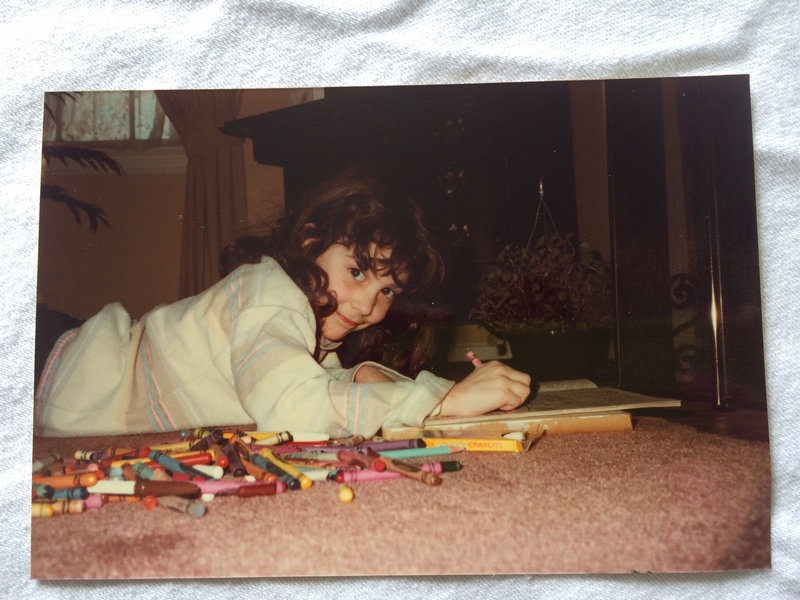 Amy has a knack for doodling, which family had insisted for years could be utilized. She had created small batches of hand made thank you notes for things like her wedding gifts and other special gifts. In December 2003, she created a design for their family Christmas card and had a few printed at a local print shop nearby. She got a lot of positive feedback from those cards. So after much prayer and thought and over many months, Amy began sketching and Joe began looking into how they could make a business out of it. Joe insisted they call their business Amy Adele despite Amy’s resistance and desire enjoy the shadows. Yes, that is her real name too! They decided to create a website so friends and family or perhaps even some people they didn’t know, could purchase Amy’s cards without any sales pitch pressure. Joe had a lot of experience in publishing so he too was in his element. When they launched Amy Adele, it was intended to be somewhat of a hobby. They were expecting small and few orders and had decided not to be upset if they never had the first one. Within just a few days, they found that operating out of their home, hand scoring and folding each card, and their bleary eyes was not going to work! It was so exciting but they were shocked by the sudden success of Amy Adele. They quickly moved into a one room business office and hired a part time girl to keep the production going while Amy continued to add new cards and Joe kept working his normal job. The ebb and flow and been quite dramatic at times and Joe is now working full time running and managing Amy Adele. Amy works from home and comes in the office once in a while to help with planning. They have had some amazing people work for them over the years and are amazed at all God has done through Amy Adele! As I spoke with her more that day, she let me flip through her sketch book and as I looked she would add in little statements like “that house is so lopsided!” or “those people’s heads are too big!”. This was not what I saw at all. I saw hours of perfectly doodled houses, tea cups, flowers, firetrucks, and a lot of adorable people with perfectly sized heads. Amy shocks me when she says, “I’m almost embarrassed to be called an artist”. She goes on to say that in her mind “artists” paint things that end up in museums, they create murals, and beautiful portraits. The truth is art, just like music, comes in a million different styles. Each artist has a different calling, and be it doodles or the Mona Lisa, it is art none the less. I wrapped up our conversation by asking Amy what her main goal or desire for Amy Adele was. In her sweet way she explains that the goal has been the same all along. Amy Adele was created so that everyone who is a part of it has the opportunity to help people make happy memories. From birthday invitations to baby shower thank you notes, Amy Adele gets to witness a new happy memory in the making with every order that is placed. 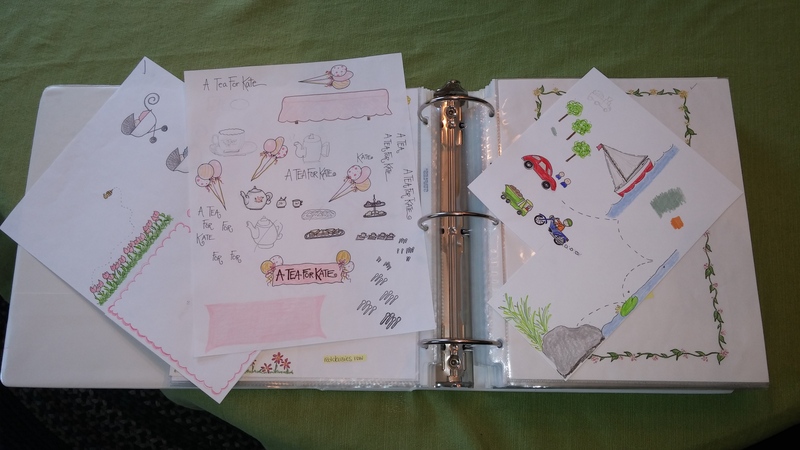 Amy loves knowing that her little doodles are ending up preserved in scrapbooks and memory boxes as a reminder of the happy occasions our customers share. Happy memories are our everyday joy, but what really keeps Amy creating is the idea of promoting thankfulness in children. Promoting thankfulness in children is a goal that has a lasting reward. In Amy’s eyes, if she creates notes that show joy, and those notes help children understand how to show thankfulness, that is her opportunity to encourage to others. Writing a fund raising letter can be both frustrating and stressful. How do you write a letter that inspires donations and support without coming off rude or begging. Learning how to write a fundraising letter can be very simple. It takes some research and practice! There are several things that need to be kept in mind when preparing to write your letter: the goal (what are you looking to achieve), why is it necessary, how can they donate. In addition to considering these things, there is also the writing of the actual letter. Here are some tips and tricks for writing a perfect fundraising letter! Eye catching introduction – you need to grab the reader’s attention right from the beginning. Questions, personal stories, something that will truly capture what you are hoping to achieve. Mention what previous donations accomplished. People like to see the results of their assistance. Focus on a specific goal. People want to know exactly what their money is going towards and what the end result will hopefully be. Before asking for donations, make sure to fully explain the activity, event, cause, goal, etc. Don’t beg or demand a certain donation, instead offer different options if possible. Describe what will happen if the donations aren’t received. Thank the reader for their time and support. Remind them why their assistance is so important and appreciated. Remember that not everyone might be familiar with the program if it isn’t a new one. If it is a new program more explanations might be necessary. Make sure to check grammar and spelling. Incorrect spelling and poor grammar can give your cause a bad image. Consider leaving contact information incase anyone has any questions or concerns. Most of all take your time to ensure you are representing the situation to the best of your ability. Follow these tips and tricks and your fundraising letters can only improve!